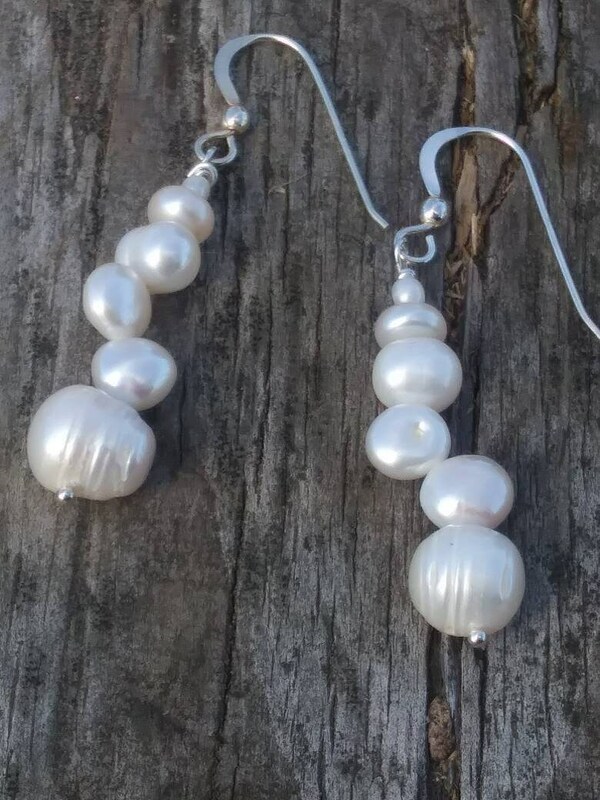 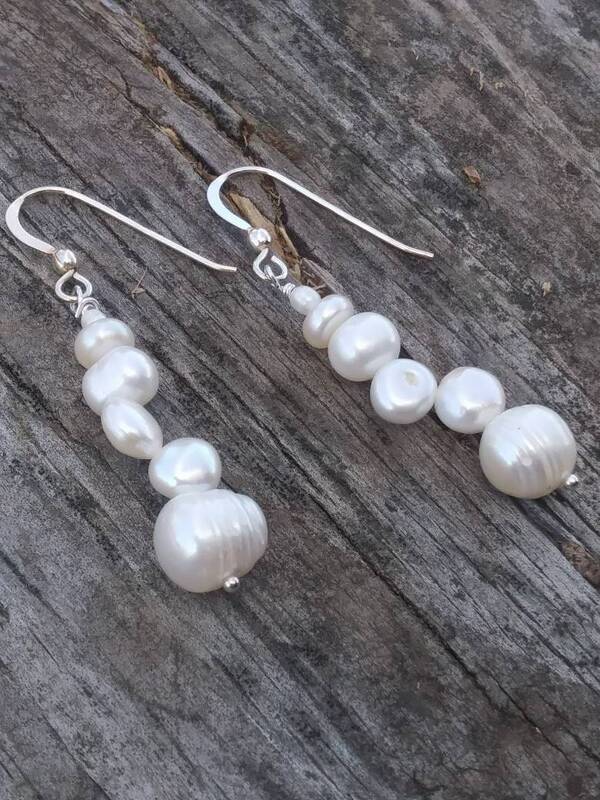 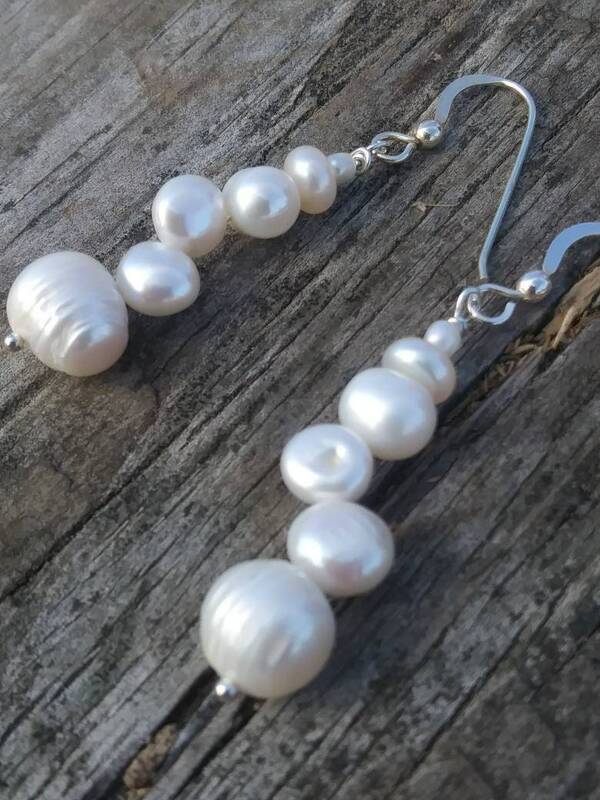 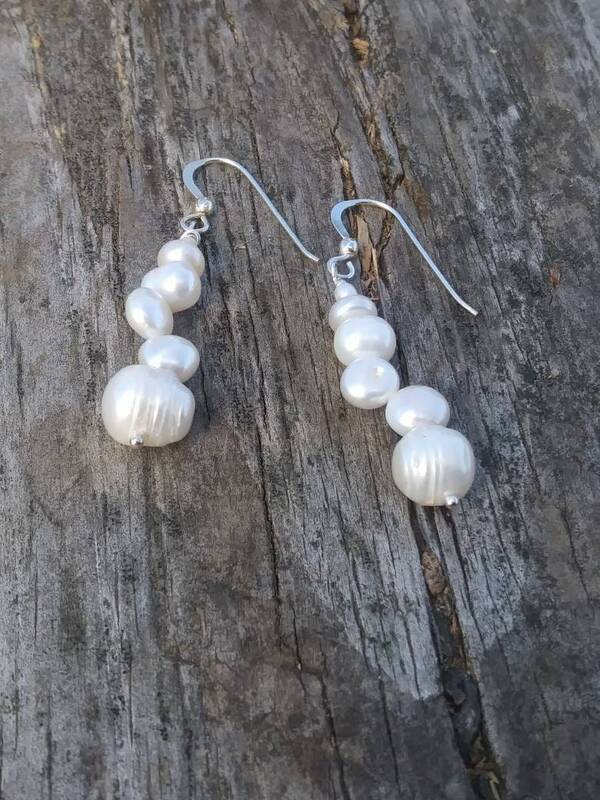 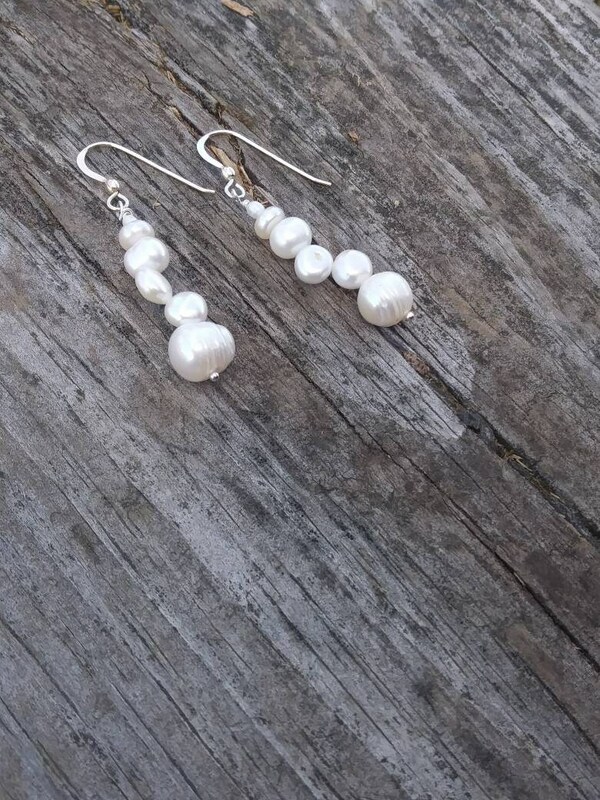 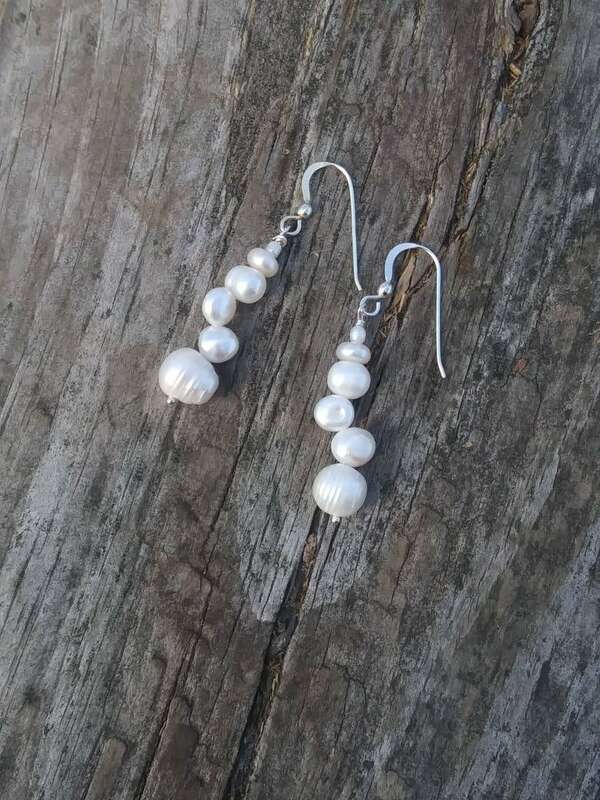 Beautiful handmade white pearl earríngs are classic, yet unique. 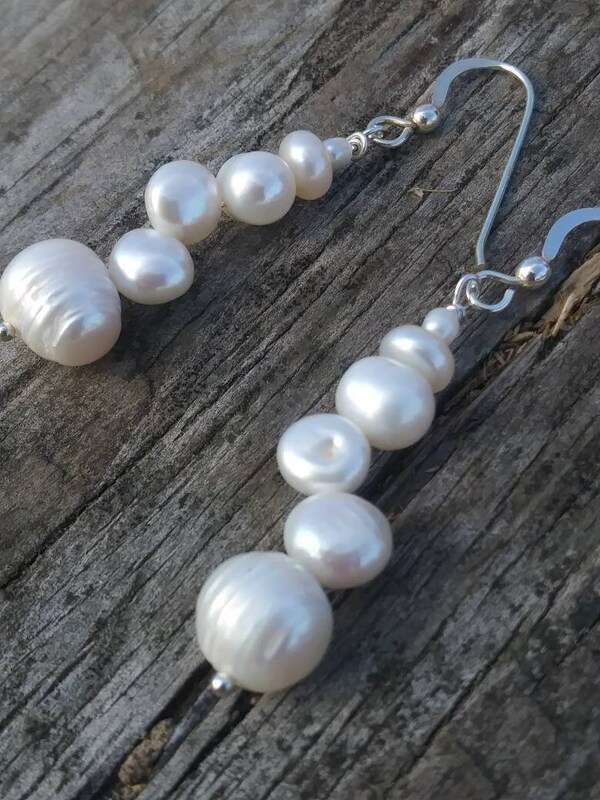 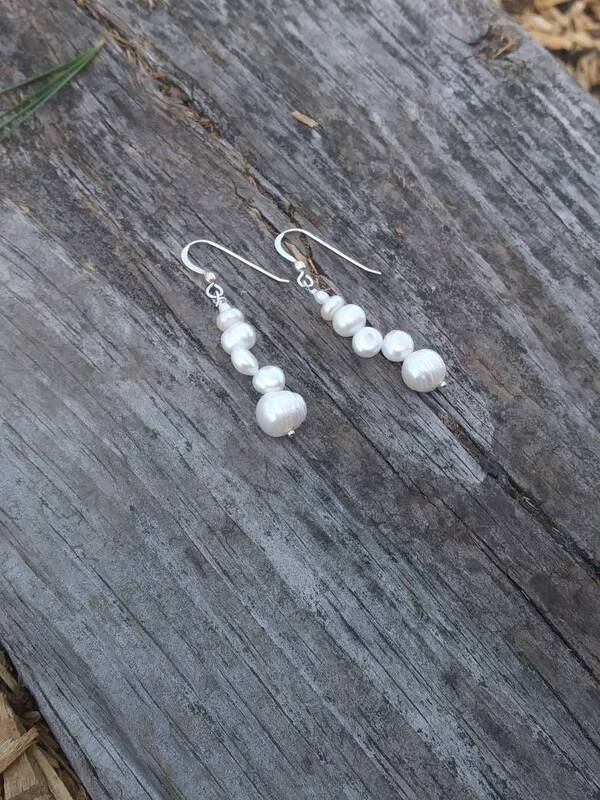 Sterling silver hooks with mixture of unique pearls. 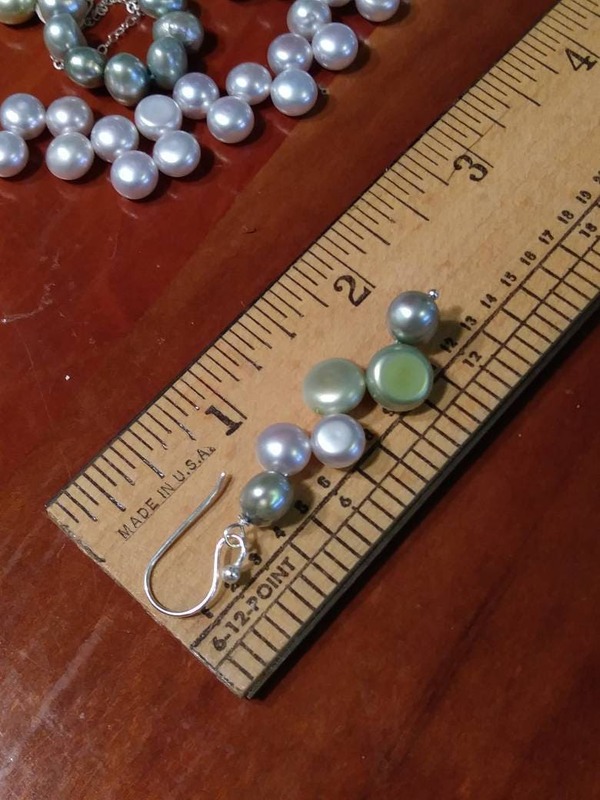 Earrings are made and ready to ship.